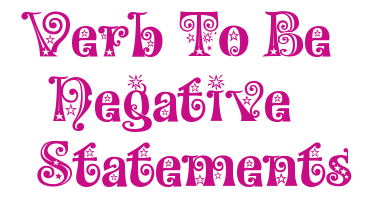 In the Simple Present of the verb to be, negative statements are formed by adding the word not after the verb. e.g. I am not awake. In the first example, not follows the verb am. In the second example, not follows the verb are.